Sometimes in life you find yourself doing what you gotta do, just to get by. Looks like this KLR owner I spotted the other day was doing just that. If you’ve ever poked around on ThereIFixedIt.com this type of stuff may be all too familiar. 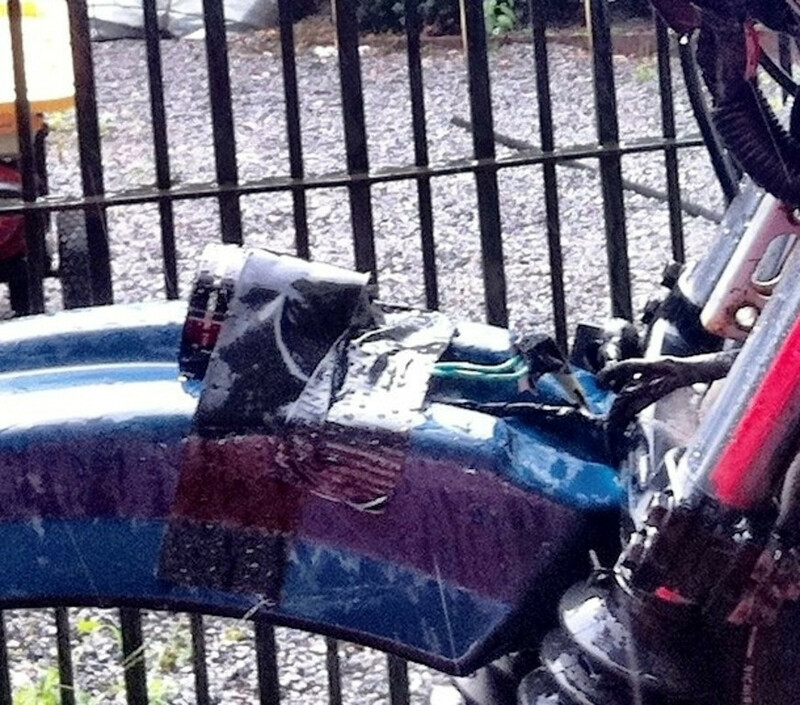 Have you ever jury-rigged something hokey up on your bike? Maybe a milk crate instead of a top box? Bleach jug hand guards? Don’t be shy! That’s right on the money for most KLR owners. what ever gets them through the day. 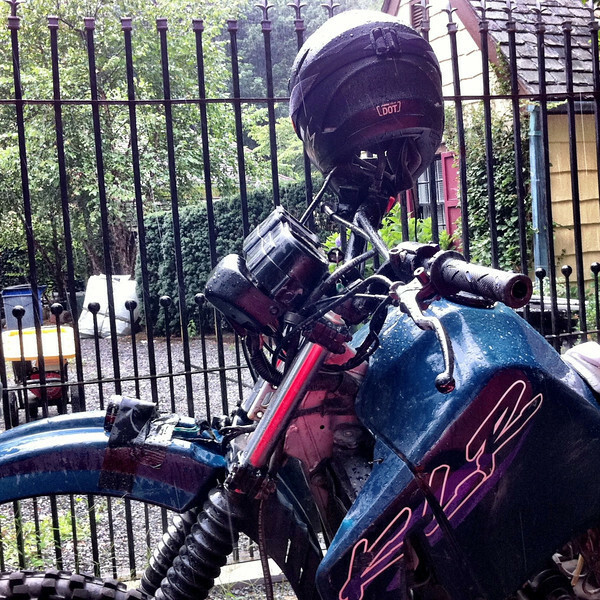 After having a few klr tech days over in my garage you see a lot of cheap engineering and some of it is scary.. The milk crate instead of a top box is a common one here in Australia – especially for “postie” bikes. I had the camelbak tank bag idea going for a while. I have a friend who turned his old tank bag into a perfectly fitting tailbag for hit sport bike. I know someone else who used a piece of punched metal that like you would put over a duct vent in front of his radiator on a Wee to keep stones from pinging away at it. I’m not sure what the right term is – the sheet of metal had something like an suit of clubs pattern all over it. It worked. And air flowed through freely. 😆 don’t forget that your DRZ is held together by zip ties. You’ve pretty much replaced ALL of the screws with ’em. Who needs metal? This is obviously a spy shot of Kawasaki’s answer to BMW’s adaptive headlight technology seen on the new 1600s.